Our training plan for our 500-mile Camino hike is fairly straightforward. We'll do a "big" mountain hike (at least 10 miles) once a week, just like we always do (see our main blog for past hikes and trip reports). In addition, the girls will take turns going with me on "short" hikes (less than 10 miles) on Saturdays. 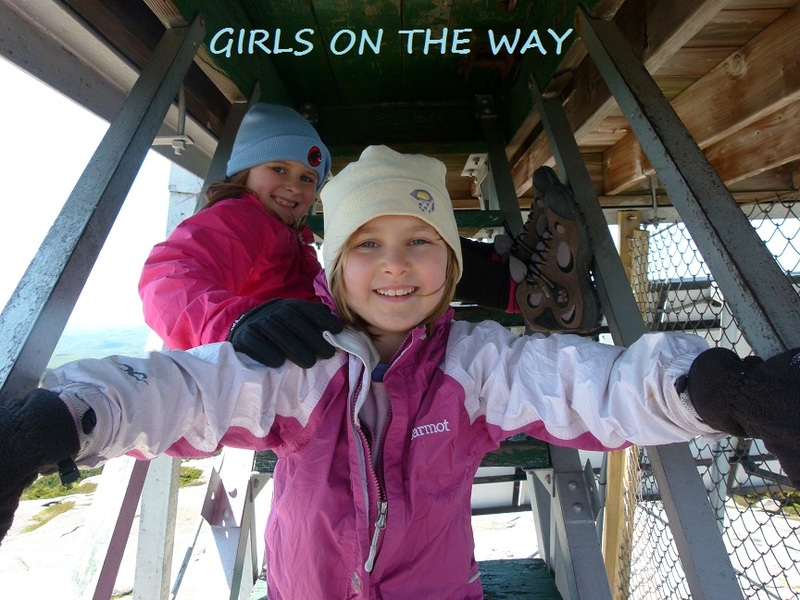 The Saturday hikes will give me an opportunity to test new gear or routines with the girls. Last Saturday, Sage and I hiked up Black Mountain in Benton, NH. For the first time, Sage wore a backpack loaded with everything she'd need for an overnight, minus a tent. Up until this point, I've carried most of the load for both girls during our adventures. Now, however, they're ready to shoulder their own stuff. That being said, it's important they carry as little weight as possible on the Camino...lighter loads mean happier hikers and healthier backs and feet. Therefore, the girls and I will bring only the bare essentials. Though Sage's pack looks huge, it only weighs 6 pounds (not including water). The hike went well, as you can see from the video below. Black Mountain via Chippewa Trail is about 5 miles roundtrip with 1600 feet of elevation gain. Regarding the backpack's weight: Sage felt comfortable during the hike, but I think I need to buy her a different backpack. The one she wore on Saturday is too big; the contents, when packed down, fill only half the space. We can probably find a children's backpack that's lighter and smaller, yet still holds all that Sage needs to carry. Kearsarge North Video, and Happy Thanksgiving! Important Note About "In Honor Of"